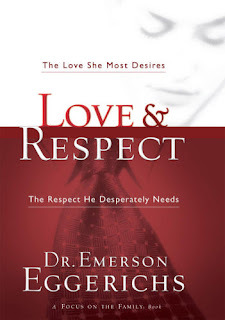 I recently finished the book Love & Respect, by Emerson Eggerichs. We had received it in a care package but I hadn't gotten around to reading it until just now. 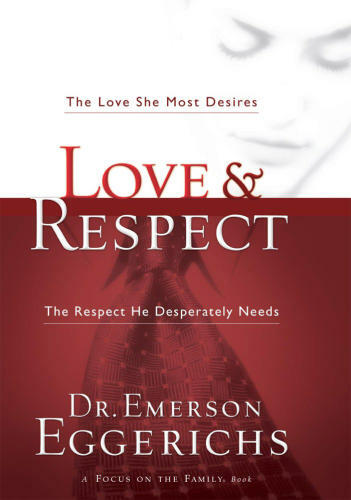 God had really laid on my heart the concept of Respecting my husband even more, and I felt drawn to this book after reading an article on the topic, and listening to an excellent sermon by Mark Driscoll out of Mars Hill Church on the same concept. and perhaps we know by heart the commands for the wife to "respect her husband." They are reciprocal. Just as the wife has an inborn need to be loved, the husband has a need to be respected. Yes, the wife too, needs to be respected. And yes, the husband, too, needs to be loved. But that isn't the most important thing for them. It's how they are created. A husband's foremost need is to be respected. So often we give to our husbands just what we feel like we need- Love. We are cuddly, we might send a sweet email, or do anything that we can to show our love to him. Sometimes he reciprocates and, maybe, sometimes he doesn't. If our "love bank," is feeling particularly low, we may even try withholding our love to get his attention. Often times, however, what we tend to cut back on first is our respect for him. I'll be the first to admit that I am totally guilty of this. When I am feeling unloved, one of the first things that goes is my respectful attitude to him. My answers become snippy, my demands become a little illogical. I raise my voice and I become bossier. Eggerichs points out that this begins a "Crazy Cycle," in marriages, where a woman feels unloved so she withholds respect, and as the man feels disrespected, he shows less and less love. The relationship can spiral out of control and stay within the grasps of this cycle for years if not decades. Sure, there may be good times, but too often most marriages fall right back into the "Crazy Cycle," with ease. Eggerichs says that it is our job to make sure we are giving respect despite the love that we are feeling/receiving, after all, we are commanded to in the Bible! That we should remember that our husbands are good willed, not evil, out to withhold their love at every turn. Often times they are just looking at a situation differently and do not see that we are reacting with disrespect because we feel unloved. My favorite line from the book is when he explained to his wife that "You can be right, but wrong at the top of your voice." I can't even begin to explain how that spoke to me. So often, in discussions or even arguments, the point that I am making is "right," but the way that I express it, through a raised voice, a roll of the eye, or the sharpness of my words, makes me the one that is "wrong." It was a lesson I desperately needed to learn. Just a day or two after I started reading this book, I was able to see how I was reacting, in a different light. We were house hunting in mid June and it was a pretty stressful time. Several times during that weekend I saw how I reacted with disrespect with I was stressed and not feeling loved. I was so ashamed as I heard the tone of my voice and the words that I said. In those situations I had to do alot of apologizing after the fact. Now, weeks after reading the book, I find that I catch myself in the act, instead of after damage is done. Sometimes I have to stop myself mid sentence and bite my tongue. I've found that conversations can stay gentle and well meaning alot more often now. Writing him a note saying that you respect him. Thanking him for all of the time and effort he puts into providing for your family. Not putting down the material things you do have, since he provided it for you. Validating his points, letting him have a chance to express opinions on things without hearing yours first. "Letting" him be the one to make big decisions- a great example I recently heard is that the husband should be one to decide on a church home- if he isn't comfortable and happy with it, but you decide on it because it has great worship, excellent preschool, or lots of women's events, it won't be a good fit in the end! As for the book itself, I had a really hard time with Part One. I started the book thinking it was going to be an equal points of view kind of book. However, I felt that most of Part One was spent describing how the husband was good willed but the woman was disgruntled and demoralizing. I had to force myself through those chapters until I got to the "meat," of the book, and the subsequent chapters in Part Two and Three. I would definitely recommend this book to married couples, or even for women who are wanting to know how to relate better to male family members (fathers, sons,) or co workers! Check out Love and Respect Ministries for more information. What other ways do you use to show respect to your husbands? We read this book as part of our pre-marital counseling and loved it! I think it has helped us to really love & respect each other throughout our marriage. I think about the crazy cycle often and honestly think that because we can spot it coming, that has prevented a lot of 'fighting.' We don't really ever argue or fight and I think it just helps to know that those things can come up and happen so easily. This book really helps you to see it coming! Love! 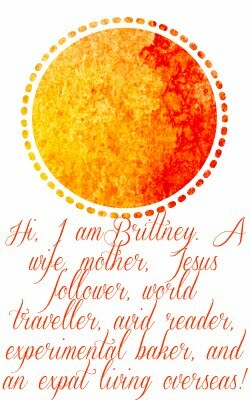 Thank you so much for sharing this review Brittney. I found myself nodding in agreement as you described some of your actions because I know I do the same thing. I'm adding this to my list of must-reads!